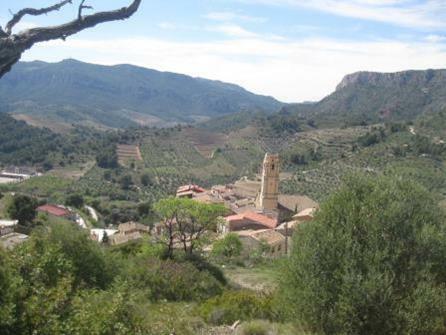 A five day hiking trail in the Serra de Montsant, the Catalonia and Tarragona region, southwest from Barcelona, frequently using the GR171. At Easter in nice weather. The trail combines culture and magnificent nature. 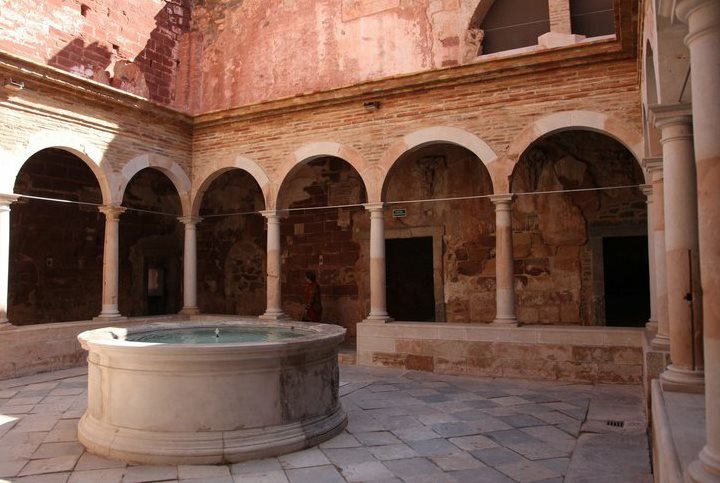 And also: steep walks, breath-taking views, deep canyons, good food and Mediterranean medieval atmosphere. Getting there: a flight to Barcelona City of Reus (near Tarragona). From Barcelona airport (T2) you take the train to Barcelona-Sants, and from here the train to Vimbodi (2,5 hrs) . During the train travel you already get a good impression of the walking area. Accommodation: hotels on trail. At Easter perhaps many hotels are fully booked. The local hotel owner can arrange your next hotel on trail. 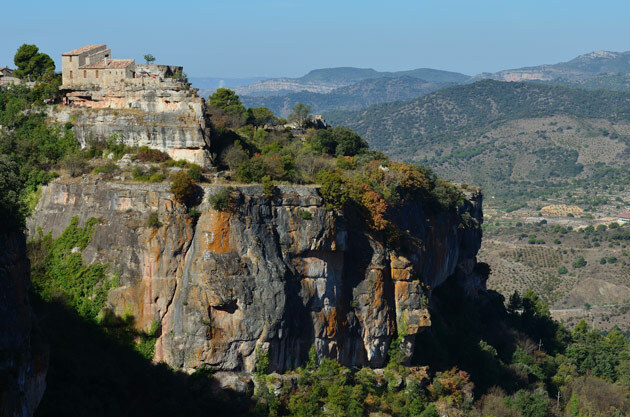 The Siurana hotel is rather expensive, but here you stay in a superb place. 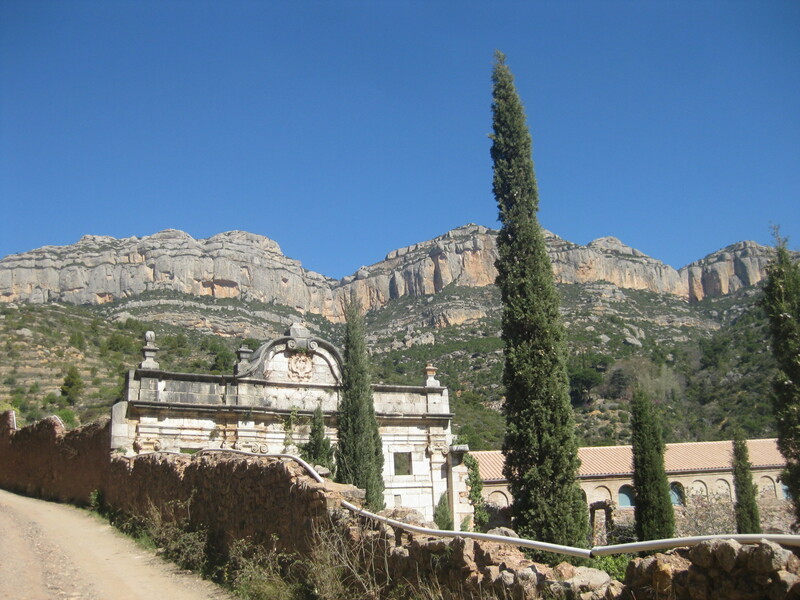 It is forbidden to camp in Serra de Montsant. 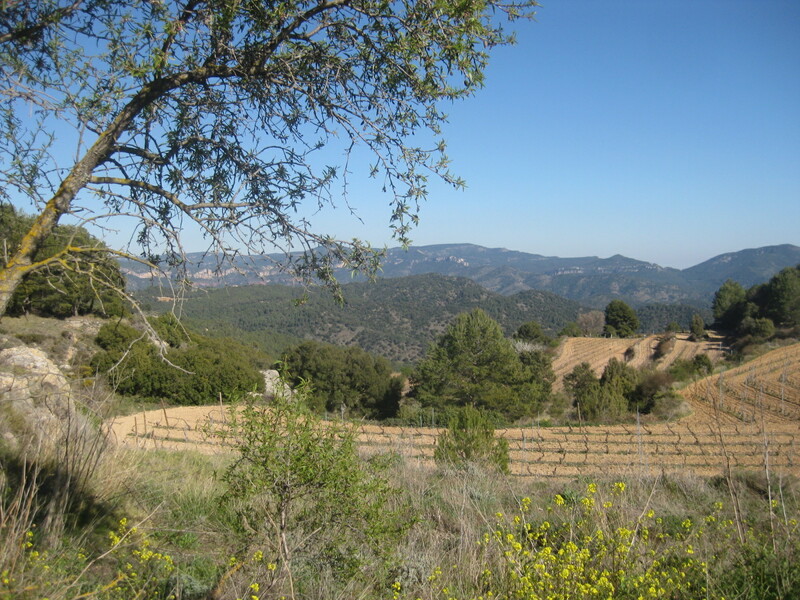 Maps: Serra de Montsant - Hiking map Catalonia 1:20.000 - Editorial Piolet. And: Muntanyes de Prades, 1:25.000 - Editorial Piolet. Local tourist offices offer descriptions of local footpaths. So you can make your own trail. Indication of height: 300-1200 m. (day 2) .The height differences are easy to take, except perhaps those between Montblanc and Rojals. April 2015: a 5 day hiking trip in a rough and impressive mountain landscape. At this time of year still few hikers. Taxi to Falset. From here the train to Tarragona (by Reus) and Barcelona. About 2 hrs. 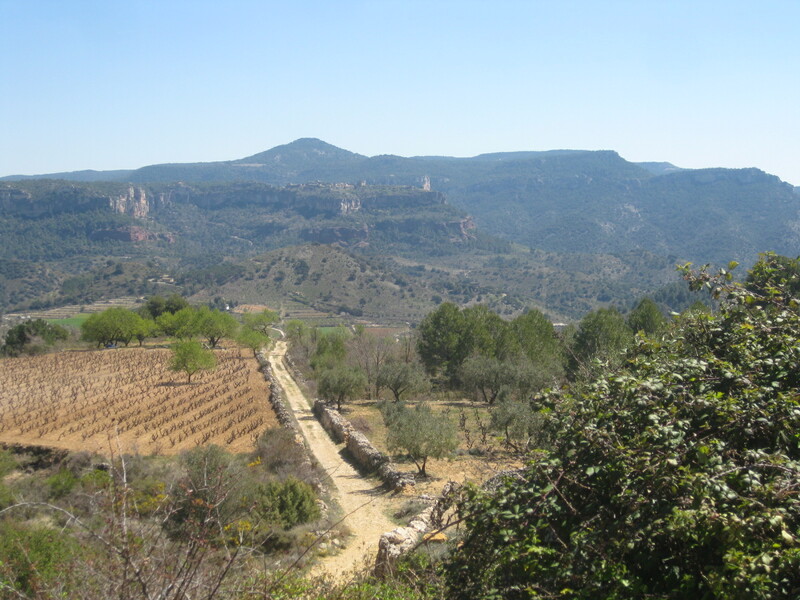 On trail: in the Serra de Montsant you’ll find a lot of marked footpaths, both GR’s and local trails. Many texts both in Catalonian and Spanish. In medieval Mont Blanc and Prades you’ll discover compact squares with terraces, some other villages seem deserted at this time of the year. The views on trail are imposing. The multi-colored rocks are unique. Huge gorges (barrancos). 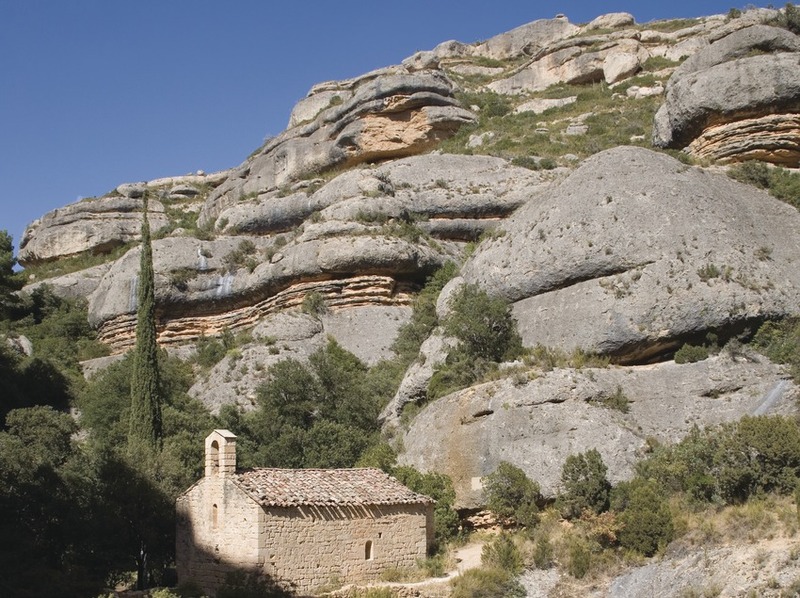 Several churches and chapels deep in the rock-formations. And recommended: a compass. You come through lonely, deserted areas. Report at departure where you are going that day. Take sufficient food and drinks along the way. Bring at least 2 litres of water per day. Not every store is open on trail. 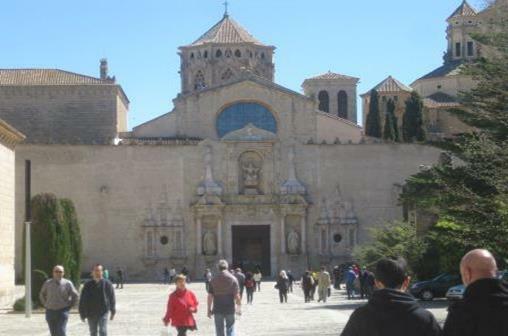 Day 1: the monastery of Poblet, one of the largest and most complete Cistercian ebbays in Spain, with, among other things, an altarpiece in alabaster (1527-1529). In our opinion this trail is in our top 10 ! !